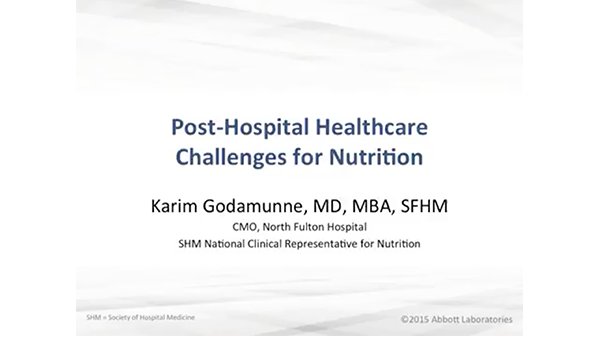 Although malnutrition prevalence rates are lower among community dwelling persons compared to hospitalized patients, the absolute number of malnourished patients is highest among community dwelling persons. 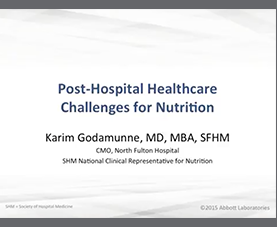 Screening and treatment of malnutrition in the community fall behind standards of care in the hospital. A post-discharge nutrition intervention study in the homecare setting providing oral nutritional supplements, calcium-vitamin D supplementation, and nutrition counseling resulted in an increase in body weight, a decrease in functional limitations, and a 60% decrease in falls. To improve nutrition care across care settings, we need to invest in training of community healthcare providers, and to simplify procedures to transfer care from one setting to the other, taking into account reimbursement issues (depending on regulations in countries).